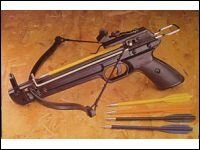 Brand New 50lb Crossbow (Cross bow)! Must be 18 years of age to purchase. Buyer should follow all local laws associated with purchasing this product.